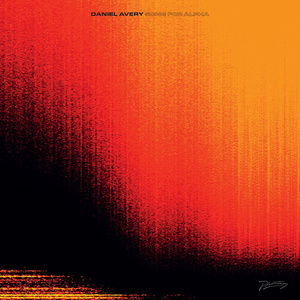 Throughout the brilliant Song For Alpha, Daniel Avery sticks to the fundamental dictum that music should take you to somewhere unexpected. It can be hard for any artist to pull together a wealth of disparate influences and come up with something genuinely different. On Daniel Avery's debut album Drone Logic, he managed to do exactly that as he bound together classic house, and leftfield techno all topped off with a fine dusting of acid house, shoegaze, and Krautrock. It stands as one of the first essential albums of what can be loosely dubbed the "second wave of techno". Since then, Avery has forged a reputation as one of the most mind-blowingly innovative DJs in the world. A DJ who possess a unique understanding of the ebbs and flows of the dancefloor and who demonstrates an almost telepathic understanding of the club crowd. This comprehension of his audience extends into new album Song For Alpha. While still a techno album at heart, it's a far starker affair as he incorporates immersive ambient synths, slabs of white noise and tense, dark, droning sounds. Throughout Avery sticks to the fundamental dictum that music should take you to somewhere unexpected. It should transport you to place where the how's and why's are no longer important. To that end, Song For Alpha finds him perpetuating his approach to sound manipulation and furthering his own unique, sonic identity. This singularity is apparent throughout the album as he moves from moments of serene contemplation to dynamic techno with consummate ease. Widescreen opener "First Light" captures the wonder and possibility of a new dawn as Avery elongates ambient notes, quickly followed by the springy techno of "Stereo L". What becomes immediately clear is how confident and in control he is of the sound as he navigates hitherto unexplored soundscapes. Blending distorted hi-hat and deep, yawning chords, Avery is exploring new territory but retaining the essence of what made Drone Logic great. From the outset, there is a cohesiveness and depth to the songs that gradually reveals itself over repeated listens, as Avery turns back a little more of its skin to see what lies beneath. "Projector" builds the track around a stark looped chord progression that sweeps through like howling wind in an abandoned building. Eventually, Avery introduces a tight, minimalist techno beat that resonates like hammers beating at its foundations. The gentle retro computer game pulse of "Sensation" acts as the chaotic counterpoint to wild pads that are pushed almost to breaking point before being engulfed by an overwhelming wall of sound, like a container ship coming into the harbor. There is a continuing and captivating dualism between tranquility and chaos throughout Song For Alpha exemplified by the superb, almost leftfield hip-hop of "Citizen//Nowhere". Here, pumping, rhythmic pads spar with huge washes of ambient synth chords as if two completely different songs are fighting to get to the same place at the same time. "Clear" provides another perfect example as clean, chiming percussion underpins a bright, bouncing synth loop to create a spry, wiry track that'll sound absolutely monumental dropped into his DJ sets. On the automated, dark groove of "Diminuendo" the synths circle, barely supported by trembling snares that gradually sink to a sustained drone before reigniting with a flurry as if locked in a techno Battle Royale. Avery's approach to layering percussion is fascinating as he sets up beats almost in opposition as one distracts while the other sneaks up behind. The title track to the taster EP "Slow Fade" that preceded Song For Alphais nothing short of an ambient masterpiece. He fills every nook and cranny with gradations of sonic texture, as he manipulates the barest of movements, maximizing the emotional impact as he guides the listener on a transcendental journey. "Glitter" flits between chilly detachment and paranoid tension as he mixes chattering hi-hat and chilly, glacial synths - again achieving congruence between the two sides of his musical personality. The oxymoronic "Quick Eternity" provides a graceful conclusion to the album as he allows the track to slowly unfurl, enveloping everything in a warm, tranquil mist. Song For Avery once again shows Avery deconstructing his various influences and welding them together to achieve something remarkable. The result is a sweeping, majestic album that sends the listener soaring above mountainous peaks or gently brushing the canyon floor, often during the space of a single track. This is the album that will deservedly see Avery achieve the kind of acclaim and reverence that he has for those that have influenced him.